Harry Potter Fans, Rejoice! New Book From The Wizarding World Coming This Summer : The Two-Way The book, called Harry Potter and the Cursed Child, picks up the story of Harry and Co. where the series epilogue left off. It will comprise the script of a play of the same name. The new story, Harry Potter and the Cursed Child, will be the eighth book in the Harry Potter canon. A new Harry Potter book will be published this summer. The book, called Harry Potter and the Cursed Child, picks up the story of Harry, Ron and Hermione where the epilogue left off, according to author J.K. Rowling's website, Pottermore. The book is the script of a play by the same name opening this summer in London. As you no doubt vividly remember, the series' final book, Harry Potter and the Deathly Hallows, closes on a scene that takes place 19 years after the Battle of Hogwarts and Voldemort's downfall. The postscript brings the epic story full circle, depicting the beloved characters standing on Platform Nine and Three-Quarters with their families. Harry, Ginny, Ron and Hermione wave nostalgic goodbyes as their children board the Hogwarts Express and head to wizarding school. The book ends with a reference to the series' most famous symbol: "The scar had not pained Harry for nineteen years. All was well." "It was always difficult being Harry Potter and it isn't much easier now that he is an overworked employee of the Ministry of Magic, a husband and father of three school-age children. The script of the play opening this summer, which Pottermore bills as "officially the eighth story in Harry Potter canon," is a new tale by Rowling, playwright Jack Thorne and theater director John Tiffany. The U.K. publisher Little Brown says the book will be released on July 31, after the play's official premiere, which is set for July 30. 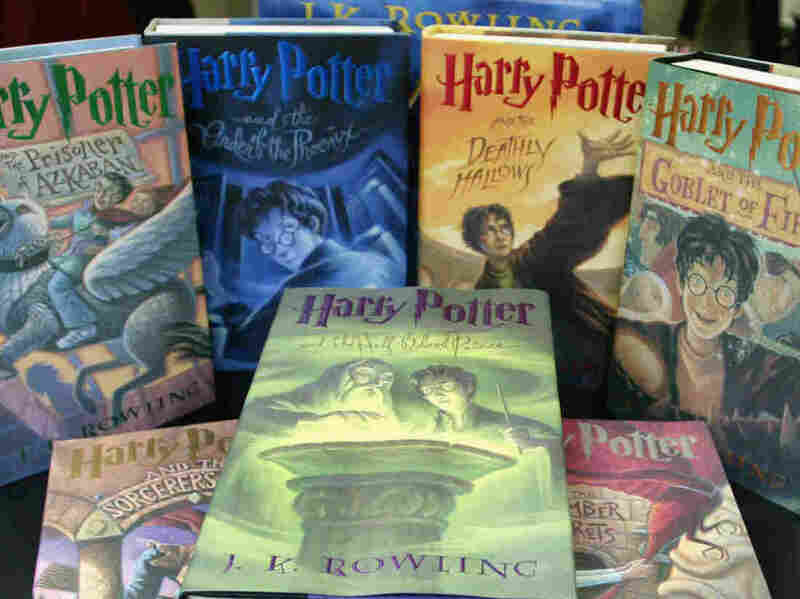 Scholastic will release the book at the same time in the U.S.
For a generation of readers, Wednesday's book announcement recalls feverish anticipation, endless speculation and early morning camp-outs in bookstore parking lots waiting to snag a copy of the newest Harry Potter installment. This time around, digital editions of the Cursed Child will be published simultaneously with print copies, so parking-lot stakeouts won't be necessary. For avid fans, who — like Harry and Co. — are now adults, that's probably just fine. It means more energy for the anticipation and speculation.